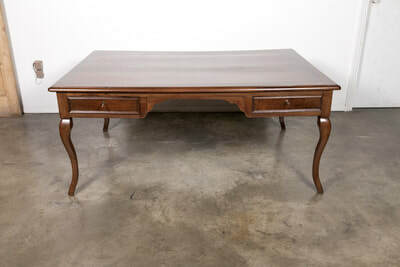 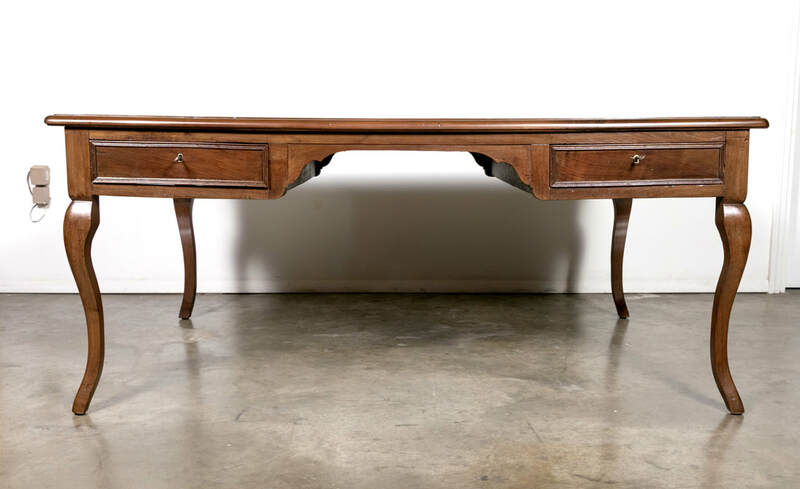 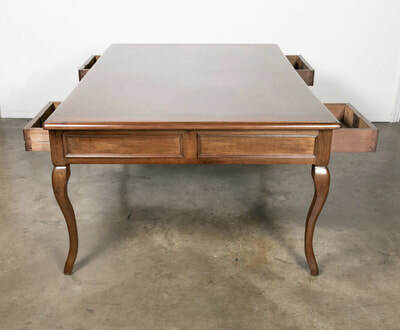 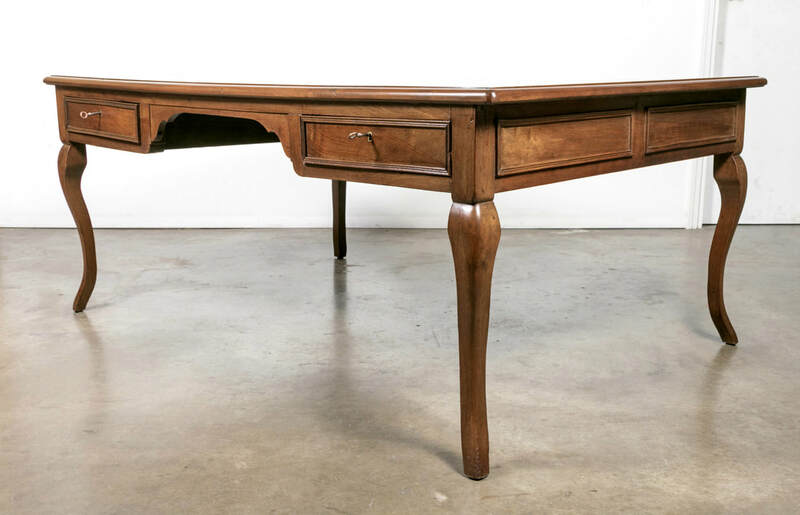 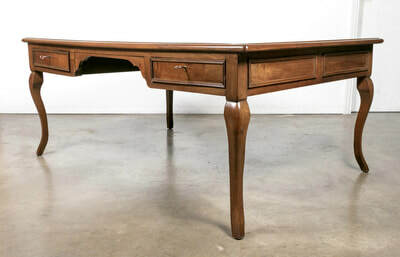 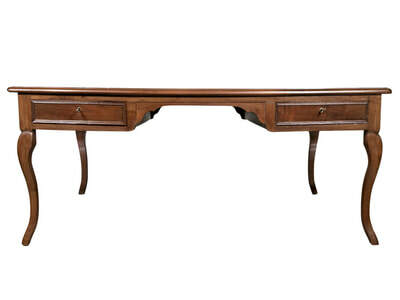 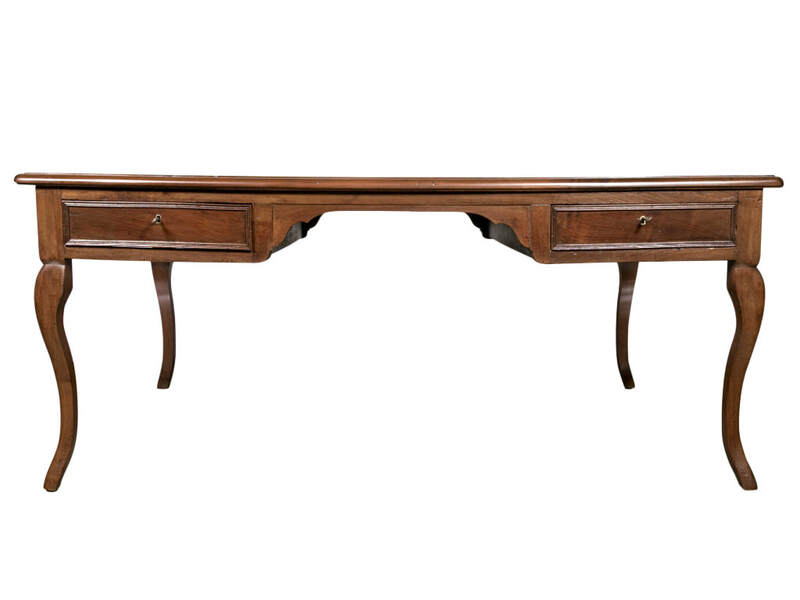 A grand French Louis XV style partner's desk handcrafted of solid walnut with a beveled edge rectangular top having an inlaid ebonized band and two fruitwood and ebonized inlaid 8-point stars. 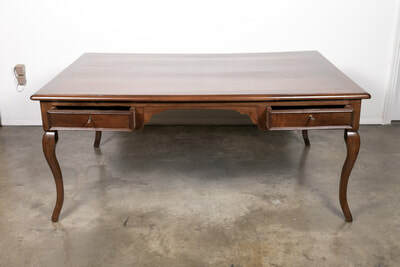 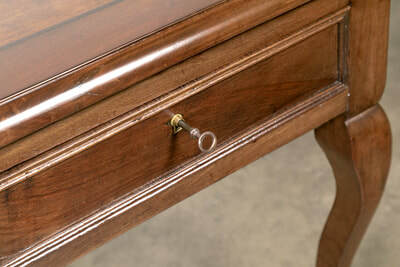 Ample knee-hole space with two large stationary drawers that lock on each side. 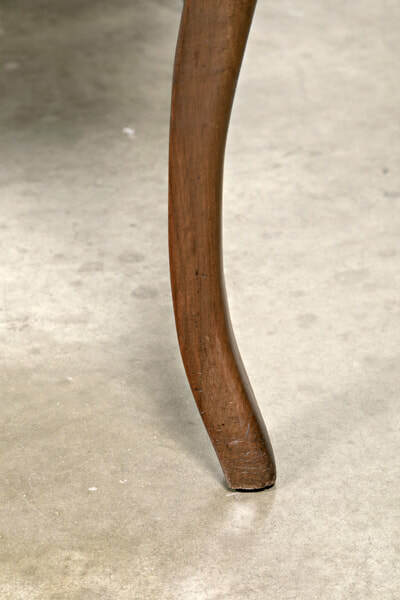 Raised on simple cabriole legs. 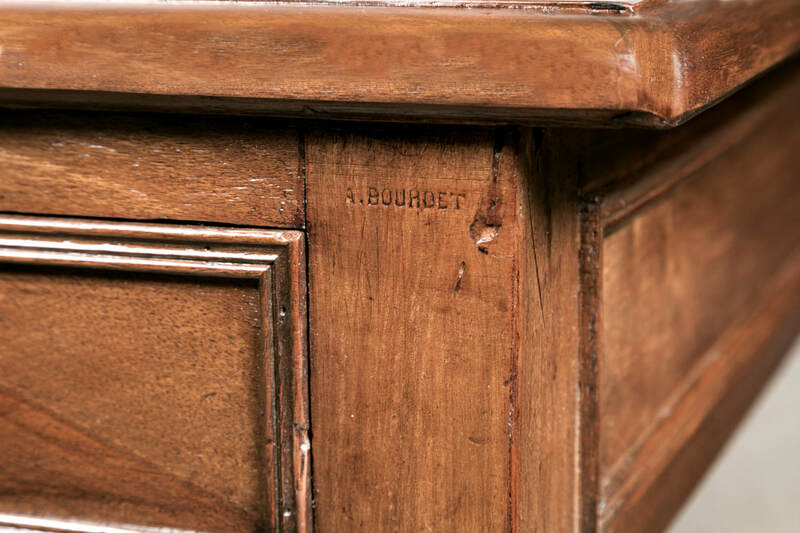 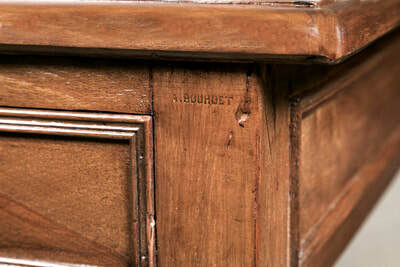 Stamped by the maker A BOURDET. Original keys for each drawer. 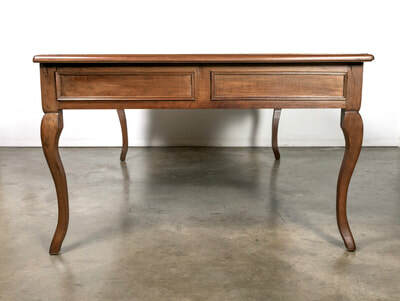 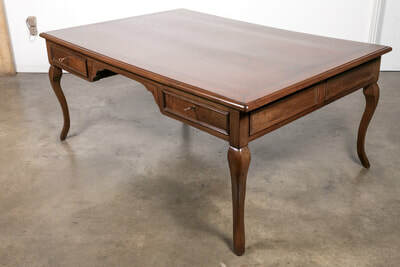 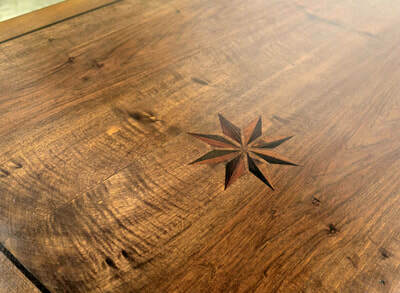 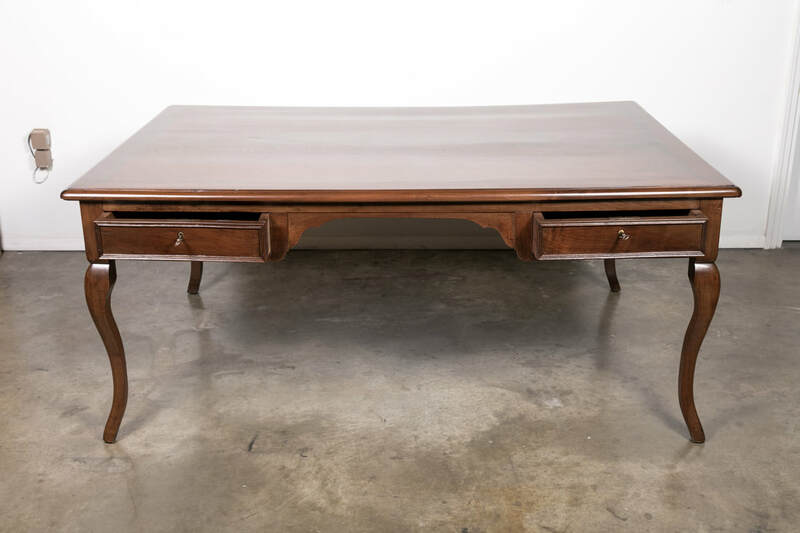 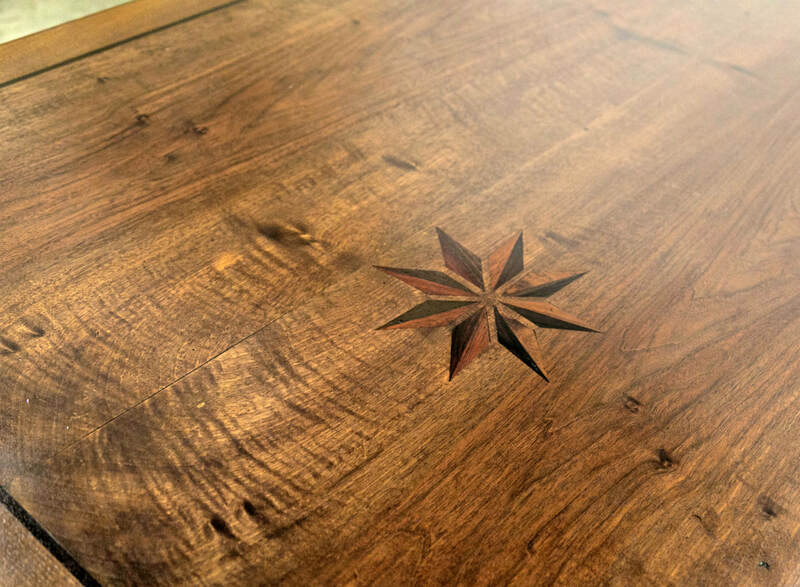 This handsome writing table retains its beautiful rich, original color and patina and has a fresh French polish leaving a sleek surface that allows the beautiful wood to shine.